Ryan Young teaches us how to throw an overhand wrist flip. The first throw most of us learn is a backhand with our dominant hand. The overhand wrist flip is a good second throw for freestyle because it comes out with the opposite spin of the backhand. So, right handed people can use their right hand throw clock with a backhand and counter with an overhand wrist flip and vice versa for lefties. The overhand wrist flip is also useful because it’s easy to throw it to yourself for practicing other tricks. Having both throws means you can practice with both spins. Watch the video for the explanation of performing this throw. Ryan does an excellent job in his demonstration. Matt Gauthier demonstrate how to do a two handed throw. This throw is perfect for learning how to center nail delay as you can throw it to yourself, it has a decent amount of spin, and it comes to you flat for an easy reception to the nail delay. Ryan Young Demonstrates how to throw to yourself. With this method you can get enough spin to practice the center nail delay. The helicopter throw and backhand are just a few types of Frisbee throws that are incorporated in freestyle Frisbee. 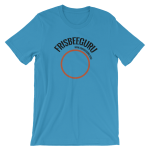 Learn more throws and flips used in freestyle Frisbee from a freestyle Frisbee champion in this free Frisbee video.